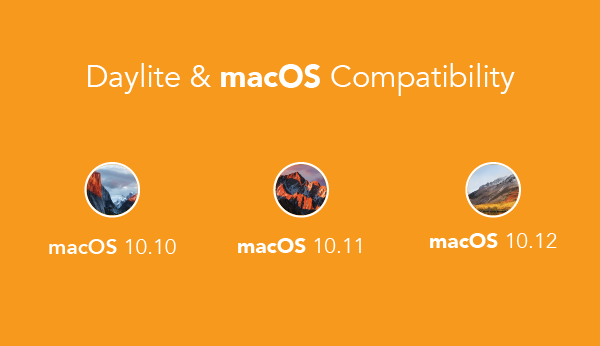 With Apple’s release of macOS 10.14 Mojave soon approaching, we’ll begin phasing out support for Daylite on older versions of macOS and continue investing in the future with new technologies for Daylite. If you’re using Daylite Self-Serve, you’ll notice that the Daylite app name will soon change to “Daylite Legacy“. This is because Daylite Self-Serve is now legacy software and will no longer be updated. If you have custom scripts, reports, or plugins, we encourage you to contact the developer of those scripts, reports, or plugins to make sure they still work. For IT specialists, Marketcircle Experts, and developers that need more info about scripts, reports, or plugins for Daylite Legacy, we’ve documented all the details here. If you have any issues with Daylite 6 Self-Serve (Daylite Legacy) syncing, launching, or the application is behaving unexpectedly, our Customer Service Team is happy to assist you and have committed to providing this kind of technical support up until February 28, 2019 as mentioned in our Goodbye to Daylite Self-Serve. If you’re using Daylite Legacy we recommend that you DO NOT UPDATE your Mac to macOS 10.14 Mojave. Daylite Mail Assistant will not work on macOS 10.14 Mojave. As we move forward with the future of Daylite, we’ll be dropping “Cloud” in the name to avoid any confusion about Daylite being a web app – Daylite is still a real Mac, iPhone & iPad app with offline data that syncs in the cloud. Daylite Cloud will now be referred to simply as “Daylite”. Daylite will continue to work on macOS 10.10 Yosemite and macOS 10.11 El Capitan until December 2018. After December 2018, there will be no further updates compatible with macOS 10.10 Yosemite and macOS 11.11 El Capitan. Originally we were planning to let go of updating Daylite for macOS 10.12 Sierra soon, but after sending out a recent survey to customers, we noticed many of you had concerns about updating to macOS 10.13 High Sierra because of Apple File System issues. So we’ve decided to continue making sure Daylite works on macOS 10.12 Sierra until August 2020. If you’re using Daylite on macOS 10.12 Sierra and don’t want to update to macOS 10.14 Mojave when it’s released, you can keep using Daylite on macOS 10.12 Sierra until August 2020. Thank you to all our customers for your continued support over the years. We sometimes can’t even believe it’s already been 16 years since releasing the very first version of Daylite when we were only a team of four. We hope you’ll move forward with us as we continue to make Daylite better.